EOPEN provides a platform targeting non-expert Earth Observation (EO) data users (non-traditional user communities), experts and the SME community that reveals and makes Copernicus data and services easy to use for Big Data applications by providing EO data analytics services, decision making and infrastructure to support the Big Data processing life-cycle allowing the chaining of value adding activities across multiple platforms. Data and services derived from space systems, including satellite images, geo-positioning information and satellite communications, contribute to a number of public policies and economic sectors. Access to data needs to be user-friendly and easy to be integrated into user defined processes. The sheer volume of heterogeneous EO and non-EO data streams puts EOPEN at the forefront of the Big Data challenges. Big Data technologies for Copernicus user scenarios are needed to tackle the technical barriers arising from the massive streams of EO data. The vision of EOPEN is to ensure scalability of the data standardisation, fusion and exchange methods, combining also non-EO data and metadata annotation. 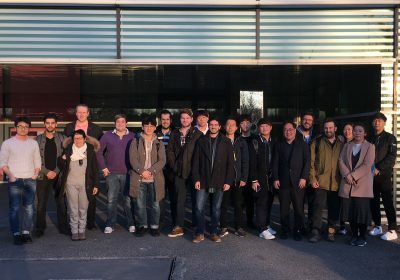 EOPEN combines mature ICT solutions and scalable processing techniques, building on top of existing European HPC infrastructure. EOPEN also ensures portability with DIAS platforms. 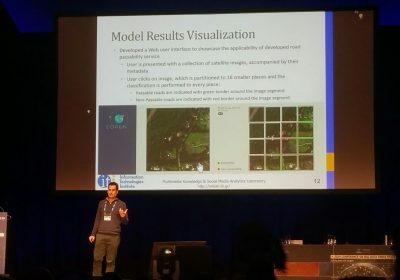 An EOPEN AI functionality was presented in ESA Big Data from Space 2019 (BiDS'19) conference in Munich! From 18 to 21 September, the European Commission, The Netherlands and Belgium held the 2018 edition of the INSPIRE conference in Antwerp, Belgium. 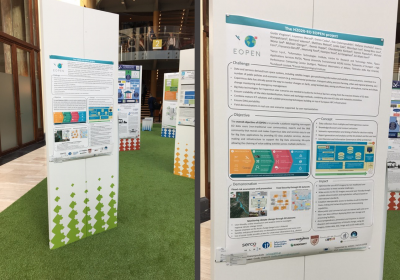 EOPEN participated with a poster session.